We’ve always liked the Cub Cadet Volunteer Side x Sides. They’re tough, dependable, and they get the job done. 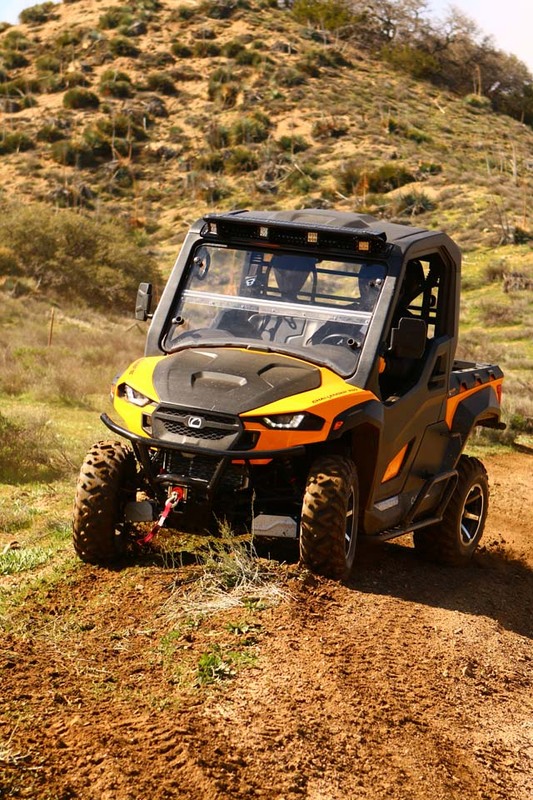 When Cub Cadet let it slip they were getting ready to introduce two new Side x Sides that were to be crossover models, bridging the gap between work and sport, we were doubly intrigued. 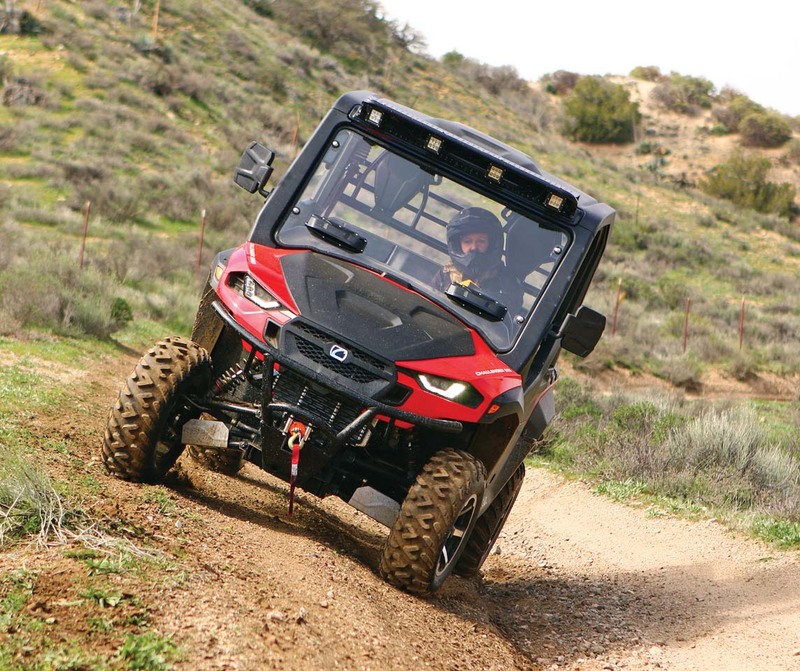 Any time we can probe the details of an all-new machine and then get it on the trails is a great day. 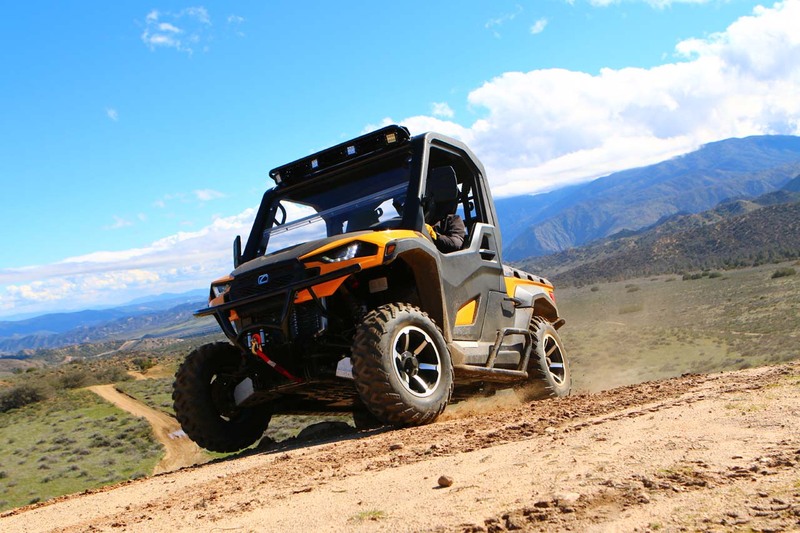 The 2017 Cub Cadet Challenger 750 and 550 didn’t disappoint. Accessories are not the only area the new Cub Cadet models are ready to compete. 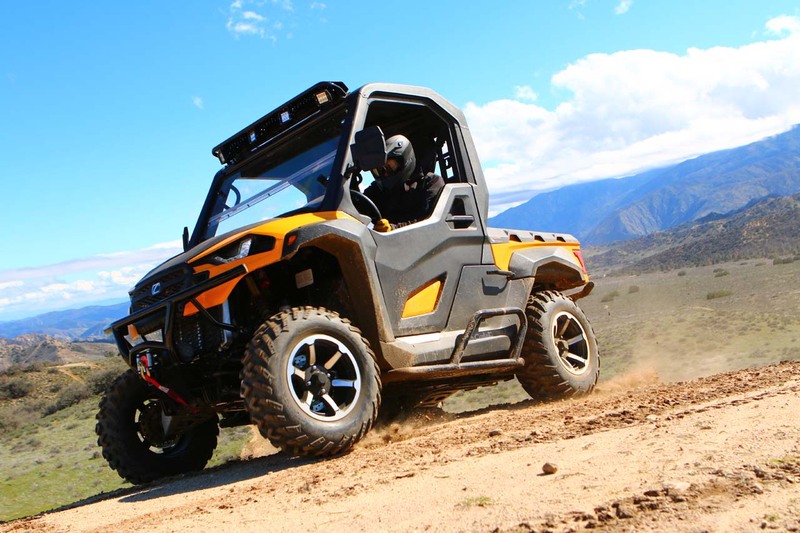 They’re also challenging the price of every sporty, well-equipped Side x Side as well, and the two carry a highly competitive base retail price of $9,999 for the 550, and $10,999 for the 750. We really like the styling of the new Challenger 550 and 750. The bodywork fits well, is tough enough to resist scratches, and from any angle it leaves no doubt about the Challengers sporty nature. 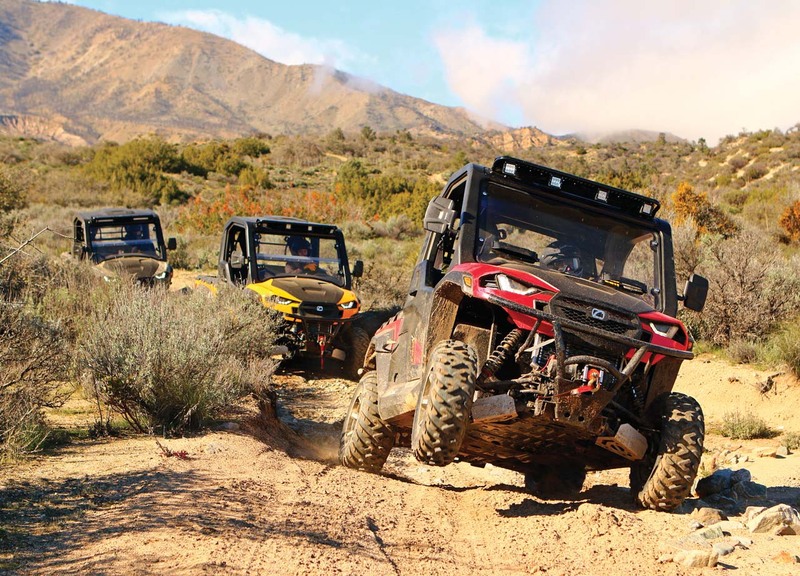 Fender flares keep mud and splashes to a minimum, and large doors do an excellent job of protecting the riders. Tucked into the front flares are two amber lenses, and these are the first factory installed turn signals on a Side x Side. For excellent visibility LED lights are used at both ends. 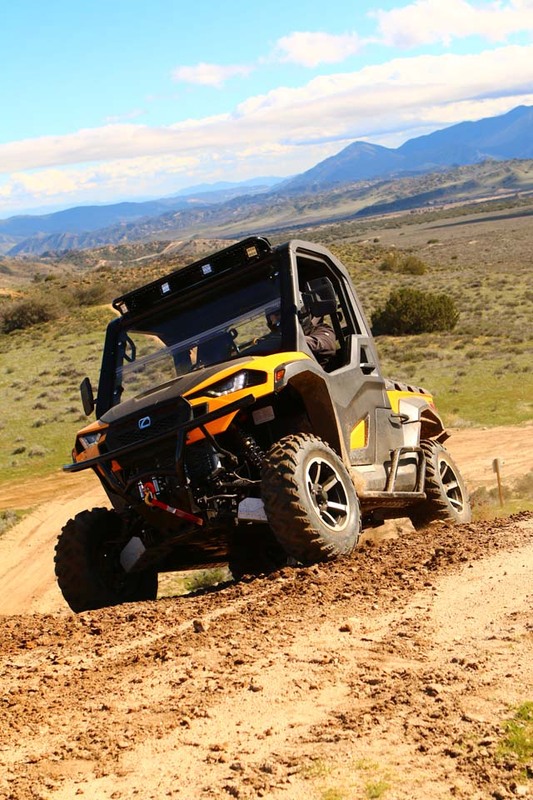 Cub Cadet went the extra step with the Challenger doors and included several features that really show their attention to detail and dedication to passenger comfort and convenience. The first thing they did was include a handle on both sides to eliminate the clumsy probing over the top to find the release. Down below the handle is a vent panel that can be popped off without tools for extra airflow on warm rides. Finally the inside of the door is smooth with no protruding tubes or features to grind into ones knee, and even the bolt heads are countersunk to avoid any possibly painful intrusions. Great job styling team! 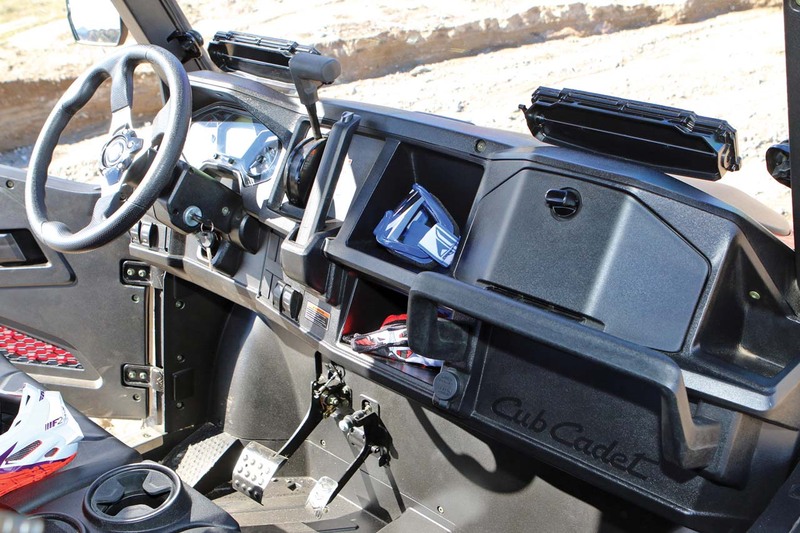 A large dump box at the rear of the Challenger is also well designed, and besides being tough, it’s got dividing pockets molded in already set up for either the Cub Cadet Tee-slot mounts, or dimensional lumber which will drop right in place, creating dividers. Multiple tie-down points make it easy to strap down your gear, and a release lever on EACH side of the bed is super convenient when dumping a heavy load. 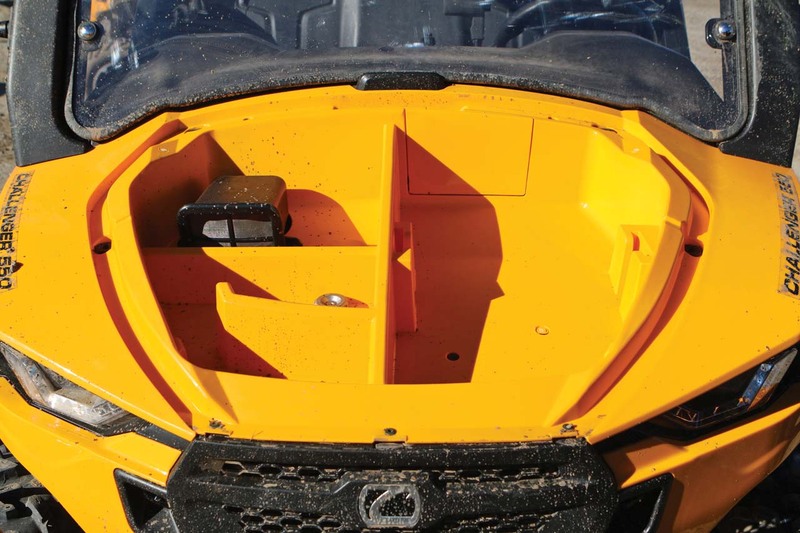 For keeping your gear out of the elements a huge, deep storage bin is found under the front hood, and once again a handy divider slot lets you keep it organized. 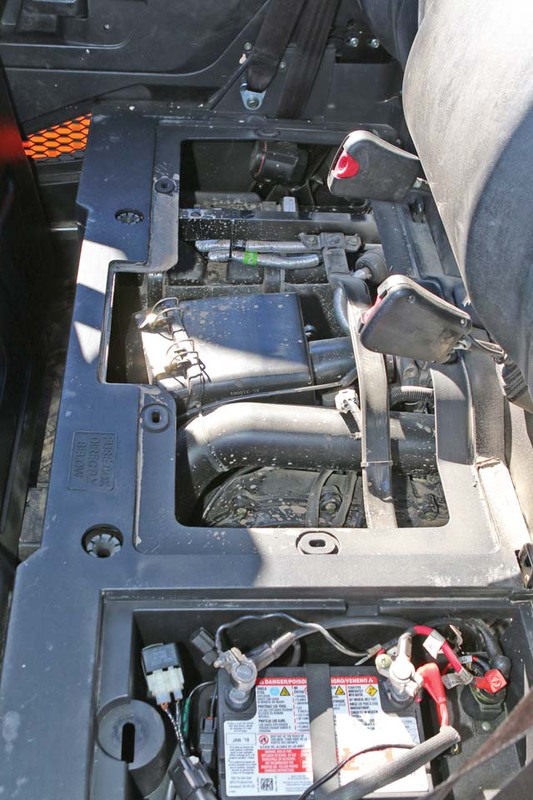 We also like how it provides easy access to the radiator cap. Drain holes will let any water escape but we doubt much will find its way in thanks to a high ridge lip. Again, it shows excellent attention to detail. The styling teams attention to detail continues inside the cab as well, and it starts with a comfy bench seat that is molded to keep your behind planted, with two cup holders between. There is ample room for both the driver and passengers feet, and the dash layout places all switches at the driver’s fingertips just below the tilting steering wheel. We really love the combination digital / analog instrument cluster on the Challenger! The old school style needles look cool, while the digital center display is easy to read. For another industry first, once again the styling team came through and thoughtfully extended the dash visor out far enough over the instrument cluster you can read it on a bright day. There is also plenty of dash storage both in open areas, a good sized glove box, a sturdy passenger hand hold, and plenty of knockout locations for accessory switches. Sight lines over the hood are quite good, as was head clearance even when wearing a helmet. And it’s even fun to have a horn! Nicely done! The chassis of the Challenger 550 and 750 is based on a steel frame with dual a-arm suspension at each end. 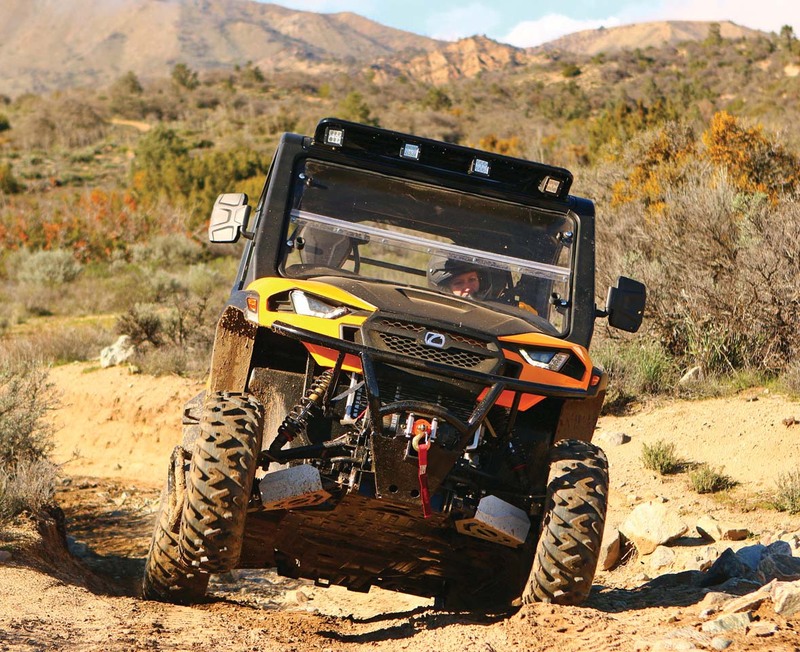 Ground clearance is very good and will carry you over most trail obstacles, but the underside is also protected by full skid plates, including aluminum plates under the A-arms. Cub Cadet also equips the challenger with adjustable shocks that allow you to set ride height, compression and rebound. This is especially nice for dialing them in for trail riding, or when you need to stiffen the suspension for carrying a heavy load. A two inch receiver hitch at each end is ready to help you tow or move any load (rated for 1200lbs) and disc brakes bring everything to a quick, controlled stop. Both the Challenger 550 and 750 are powered by modern, liquid cooled, high performance four stroke engines fed by EFI. The Challenger 550 offers a 546cc engine rated at 28 horsepower, while the Challenger 750 features a 735cc power plant listed at 36 hp. 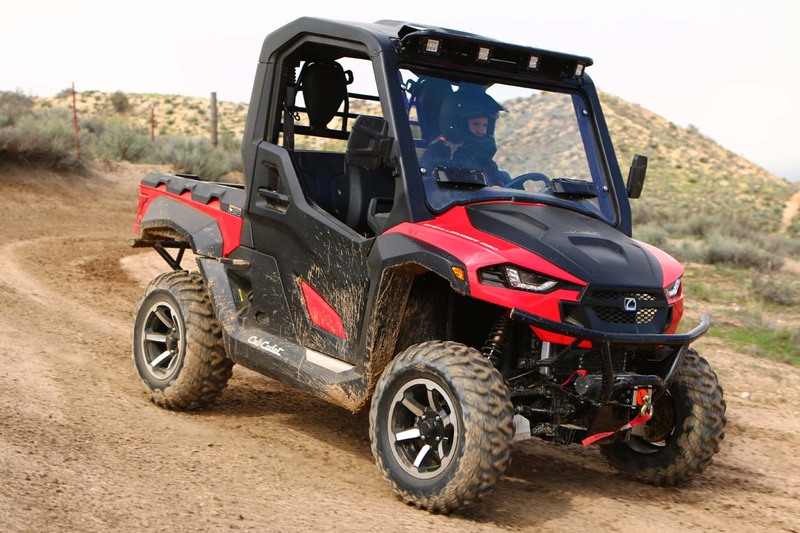 Top speed for each is listed as 45 mph, and for sporty handling on the trails dual sway bars keep body roll to a minimum. 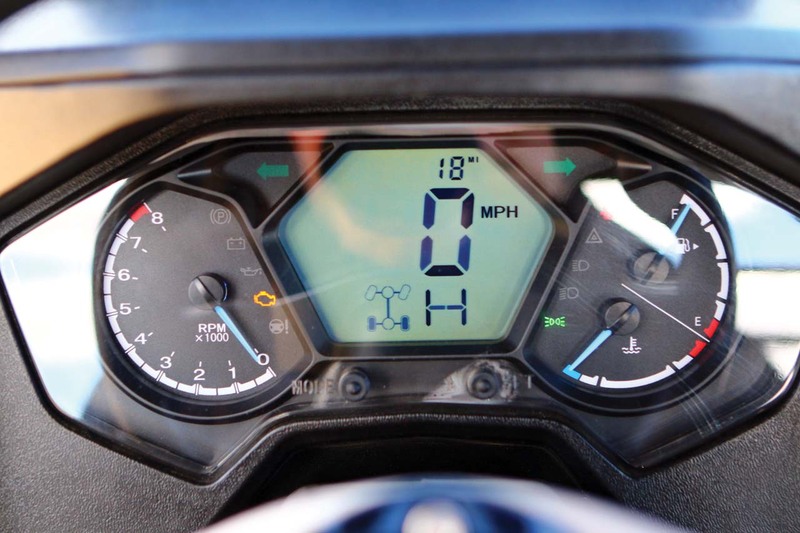 During our ride testing we managed to get the Challenger 750 up to around 50 mph, while the 550 topped out near 45mph. Another premium feature Cub Cadet built into this model is a rear differential that can be unlocked. Turf Mode is a great feature that makes it possible to work the Challenger models on sensitive turf without tearing out the very grass you’re trying to keep growing. It also makes it a little easier to turn on paved surfaces. 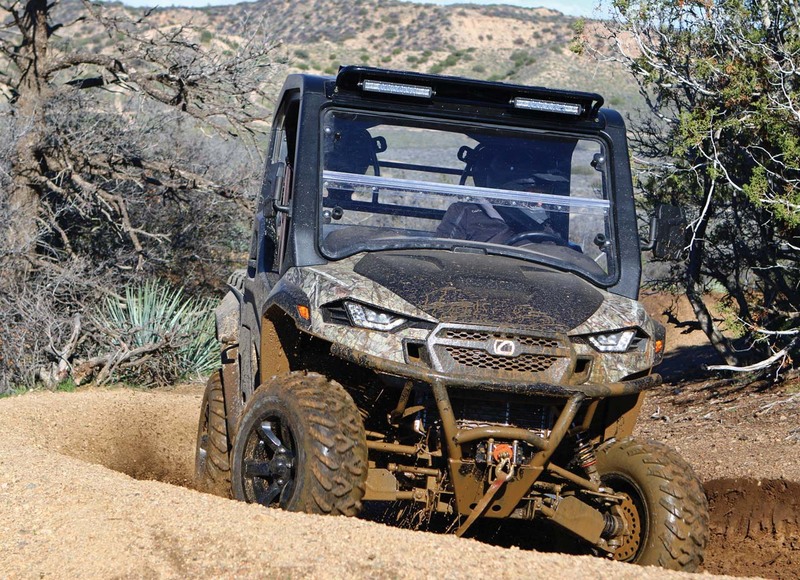 Any day riding is a good one, but especially when you’re driving an all-new machine. We hopped into the seat of the Challenger 550, adjusted the wheel down, and hit the key. The engine easily spun to life with a nice rumble, we slipped the transmission into high gear, and we were off. The 550 engine picks up speed nicely and it was easy to get comfortable with the Challenger chassis on the trail. 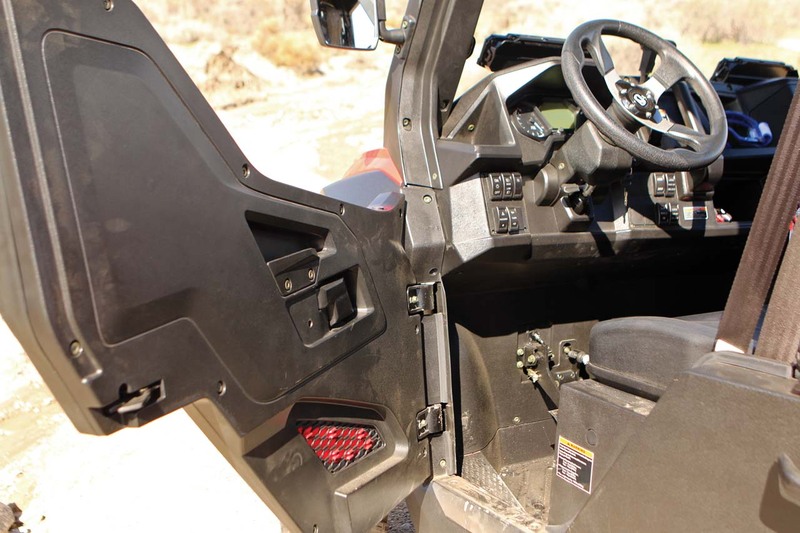 Tucked inside the cab it felt extremely safe, and even during aggressive driving the dual swaybars helped keep it flat in the turns, adding to the feeling of stability. We were also happy to learn there was very little extra cab noise. On many models you’ll hear lots of squeaks and groans from the chassis over rough terrain, but the Challenger chassis design team did a good job of limiting that. Both the Challenger 550 and 750 engines run well, and they’ve got no problem getting you up and down most terrain. Throttle response is smooth and controlled. 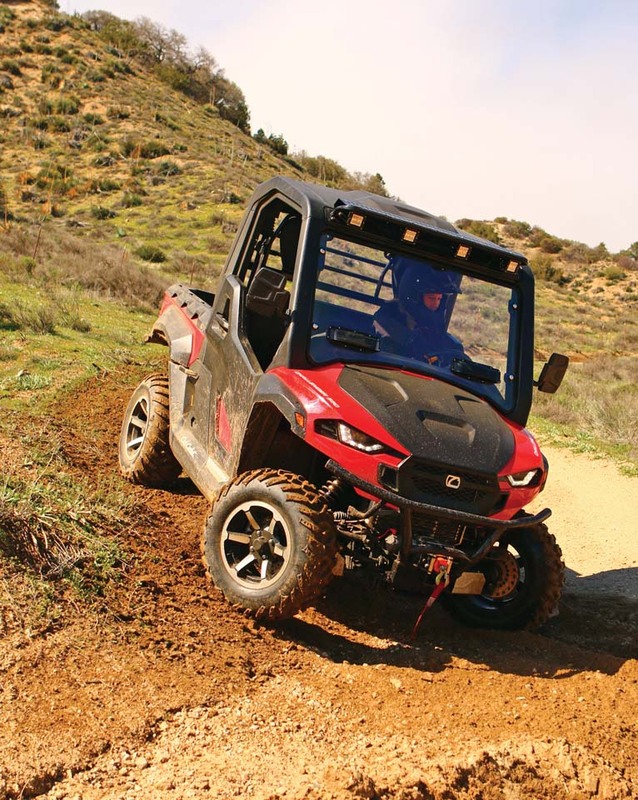 Only on the steepest hills or high torque situations (like steep hills or when pulling a heavy load) would we begin to find the machines limits, but we believe this was more of a matter of CVT tuning. 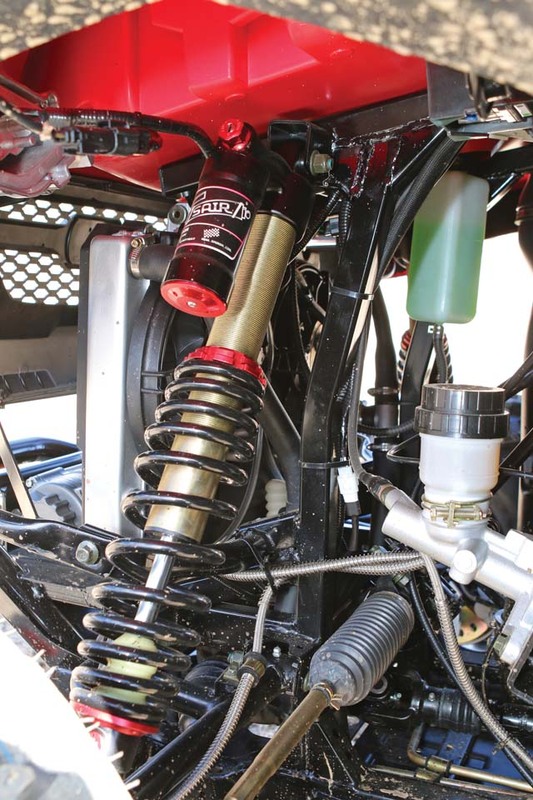 Suspension action was quite good and the shocks allowed us to make it even better. Some of the trails featured harsh, choppy terrain so we backed the preload off slightly, and softened the rebound a couple clicks, which was easy to do, and Cub Cadet even supplies a nifty tool kit with everything you need to make the adjustment. Steering was also good even without electronic power steering. 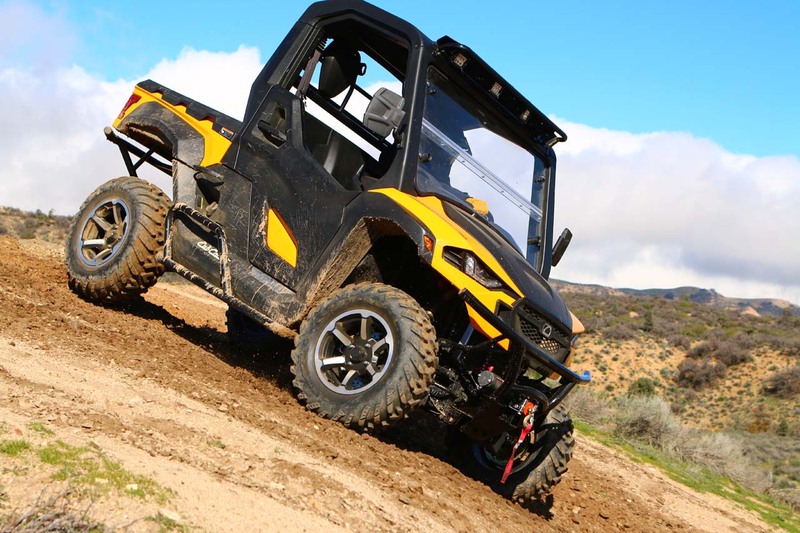 The aggressive tire tread also responds quickly to steering input, and we like the steering ratio Cub Cadet gave the Challengers. The steering feels neither slow, nor overly aggressive and it matches the machines intended use perfectly. We also tried it in Turf Mode (unlocked rear differential) which made it easier to carve through tight corners. Only with the front differential lock engaged did the steering begin to feel stiff, and it’s the only time we noticed the front end pushing through corners. At that time you’ll begin considering the merits of power steering. There really isn’t a lot we would change about the Challenger 550 and 750. A little more power from both engines would be welcome, but that may just be a matter of fine tuning the CVT. Revising the CVT for quicker response from throttle input or in backshifting, and to keep it in the heart of the powerband in situations requiring more torque (like when climbing hills) would be welcome. Although we never missed it, quite a few will be anxious to install Electronic Power Steering right from the factory, but for now it’s one of the few features that is not standard equipment on the Challenger. Still, there is much, much more to love about the Challenger 550 and 750 than there is to wish for. 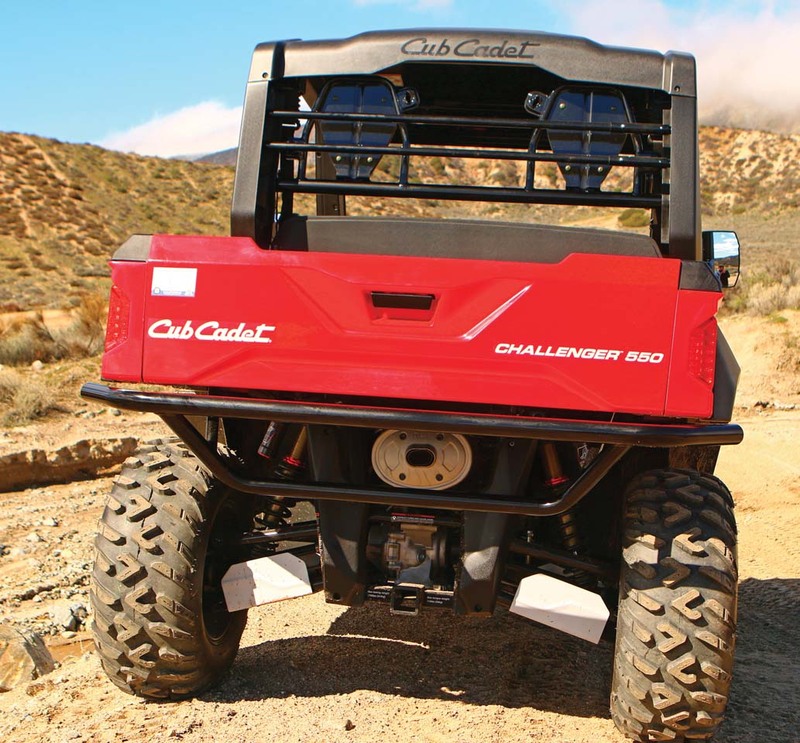 The Cub Cadet Challenger 550 and Challenger 750 mark a major step forward for the Cub Cadet lineup. 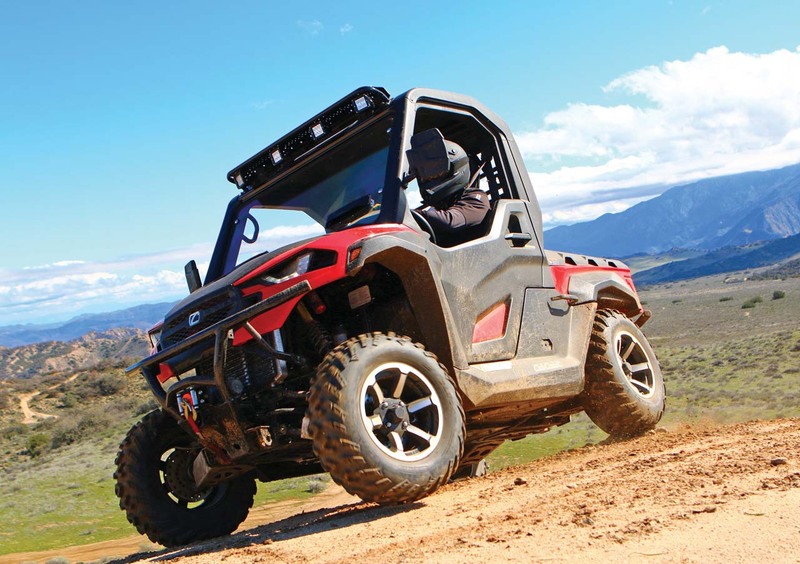 Overall, we really like them and would be happy to take one to the trails or to work anytime. They’re packed with great features at a price that can’t be ignored, nor currently matched by any other manufacturer. 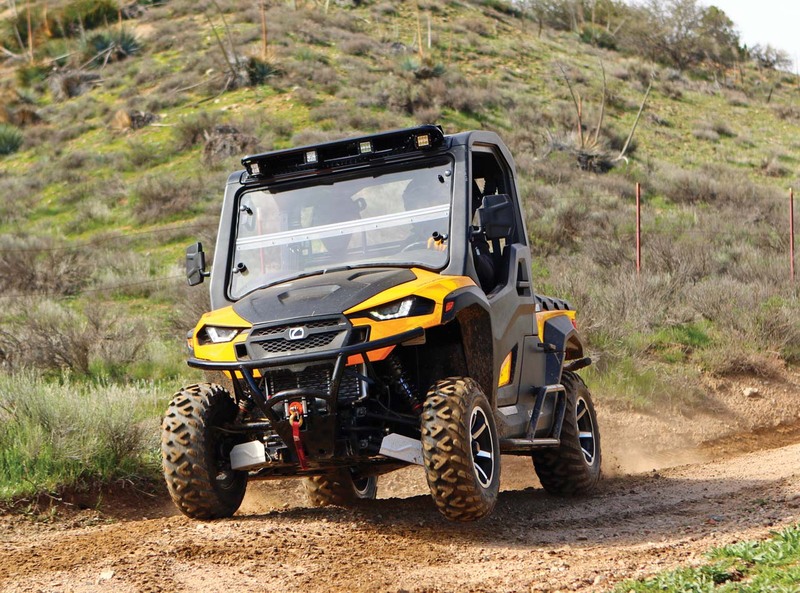 They look great, they perform well, and just maybe, the challenge will be for other manufacturers to keep up with what Cub Cadet has brought to the table.